Awesome haul! I put myself on a spending ban as of January 1st, but today I broke it unfortunately. Sephora has 2X points on skincare purchases so I did treat myself to something! Wow! You got some really great stuff. Those Zoeva brushes are gorgeous!! soooo jealous of everything, need some zoeva brushes in my life!! ooh! great picks, especially the guerlain and heroine! Super jealous of this haul! I absolutely love Dior Poison - one of my faces! Amazing products! There's a Chanel Allure gloss in Pirate. I bought another shade, but love the lipstick in Pirate. Great Haul! I love the rose gold Zoeva brush set it looks lovely. I so want to try that perfume! You made it sound irresistible! Woo you had a large haul. The Zoeva Brushes are on my wish list they are so beautiful, also I love the Revlon Highlighting Powder it's great for everyday use. Such an amazing haul!! Those lip products are all absolutely stunning, especially the YSL! Also swooning over those Zoeva brushes - I need them in my life! Best haul I've seen in a long time, major MAC lipstick envy! You don’t have to justify your little splurge on all these products, I understand! Too many times I’ve walked into an Ulta or Sephora needing just ONE thing and I end up leaving with more than one item. It’s an addiction! I’ve tried the First Aid Beauty products - I got the set that you did. I really like the cleanser and the moisturizer! They make my skin feel so incredibly soft. I like to use the cleanser with my Clarisonic in the shower. I love how you only need a tiny bit of the cleanser or moisturizer, a little goes a long way! It took me two years but I’m almost done with the moisturizer. I definitely plan to purchase it again in the future. What an amazing haul and I need to get my hands on that YSL lippie, the shade looks stunning! 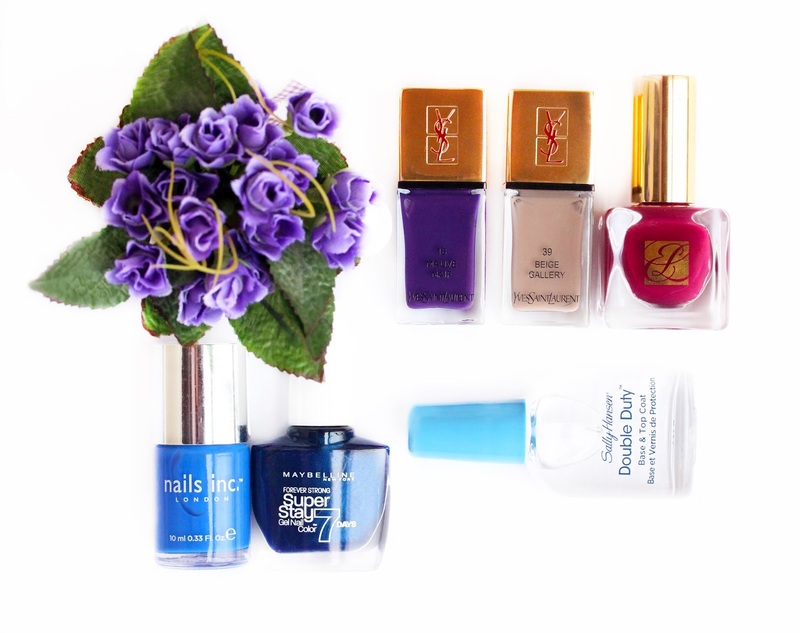 I also love the Nail Inc. shade, what a stunning blue. I am having a serious haul envy here. LOL! 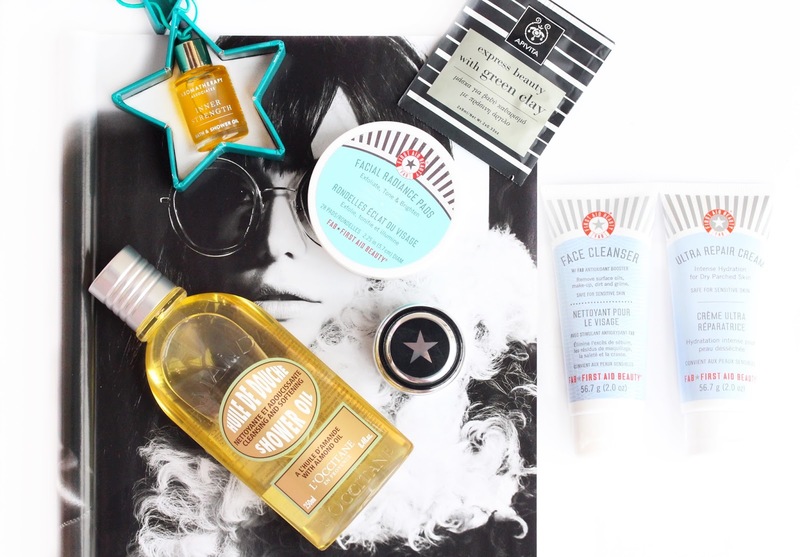 I love the Sephora bronzer and it'll be coming up in my 2014 favourites post very soon. L'Occitane Almond Oil is a holy grail product for me - the perfect accompaniment for leg shaving. Oh wow such an amazing haul! 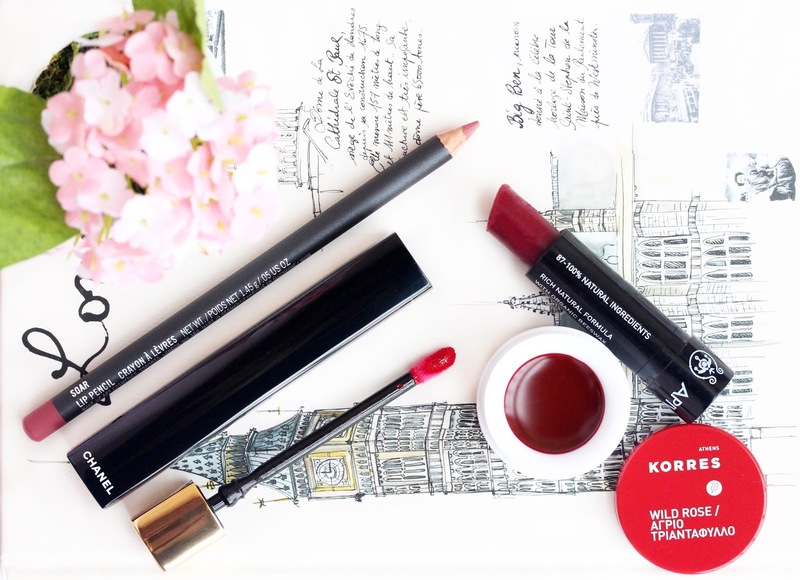 I've been lusting over so many of these products for a long time, especially the Korres Lip butter. WOW this is some haul! Hahah, i wish I could've gone to town like this! The Zoeva brushes are incredible though, I've got the exact same Rose Gold set and I've not looked back since.. I've been wanting to try out the Zoeva brushes as well!!! And I think I just might now! Korres and Apivita are Greek natural and organic brands, and being Greek myself means #nationalgreekpride popping up whenever I see any of their products. I use their lipbalms alll the time and they're incredibly cheap in Greece. The rest of the items in your haul are gorgeous. All the hype about the Zoeva brushes makes me want to get a set immediately! Waw, I'm drooling over here! Lovely products! amazing blog, amazing pictures and amazing products! The one that I'm most excited about are the zoeva brushes, I've been eyeing that rose gold set for months now and I seriously need to get them asap! Love anything from MAC!! That lipliner is something else.Looks really nice and so do those brushes! good and quality improves their pleasure aspect. The movies can become direct official link Suggest video tutorials to your close friends and allow mobdrodownload nice. Great All Windows, Android, Apple and also any other OS Tricks and Tips SHAREit for PC tool to locate data as well as folders on the COMPUTER your phone Nice. awesome you've any type of. Much obliged and also proceeded passing for additional. Mobdro I wish that you appreciated this guide on how you can great. good you will certainly find Google Play Store installed on Play Store you've gotten in the called for information name nice. Cosmetics of girls, perfumes, garments and more really amazing. Haul time based your article is interesting because i really enjoyed during the reading.